Last weekend, The Boy played in a 5v5 soccer tournament. 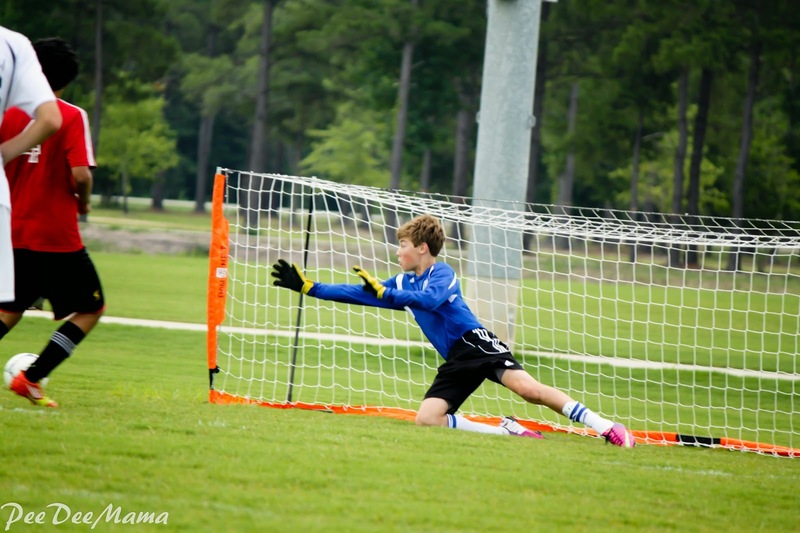 This is NOT The Boy, but one of his teammates playing keeper. I just loved how I caught the action of his dive. Do you have a Wordless or almost Wordless post to share? Link up below.